It’s LEG-O’clock in London, where a design studio called Vitamins has come up with a seriously unique way to stay on top of its time management skills. The team at Vitamins is comprised of just a handful of people, but their schedules are unfailingly full, and in that environment, things can get out of control fast. 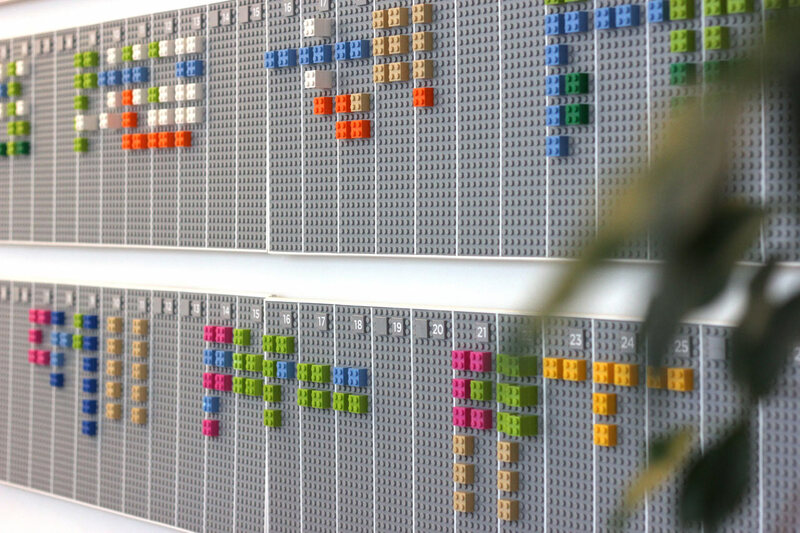 To let the entire office keep track of each other’s schedules, they designed something half wonderful and half crazy: a LEGO wall calendar. The LEGO calendar presents three months at a time, with one horizontal grey stripe for each month. 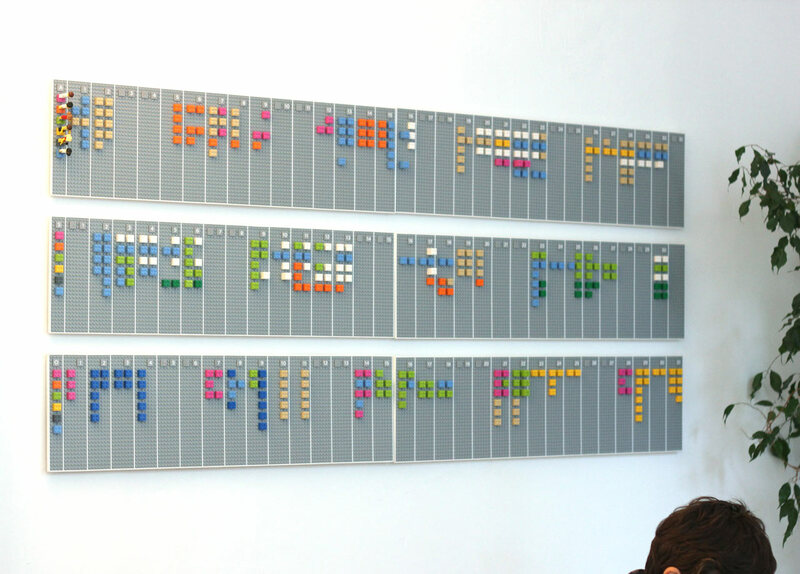 Vertical rows on each month board lay out every day of that month, just like a blank space on a normal wall calendar. 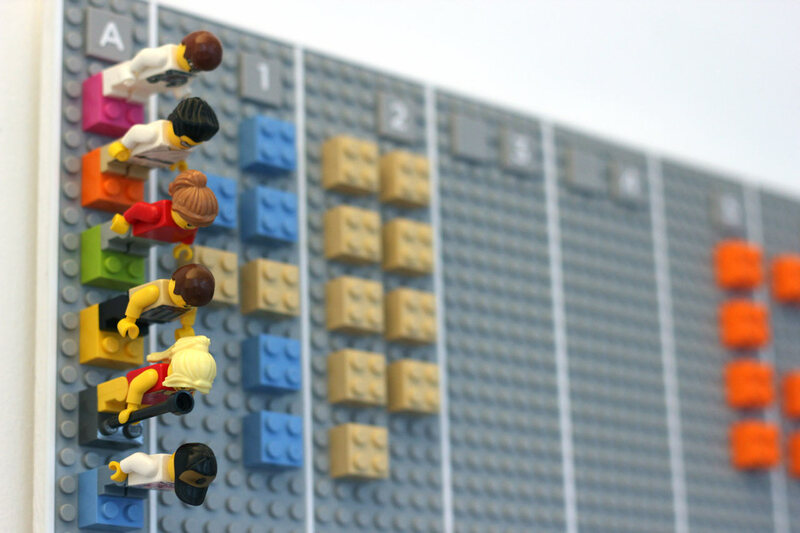 Each employee gets their very own LEGO minifig to denote which line on the calendar is theirs, and every project has an assigned color. A key helps them keep track of which color corresponds to which activities. The team even designed a program to synchronize the calendar with the digital cloud-based version, which could help with inevitable confusion. Someone in the office snaps a picture of the calendar on their smartphone and the software automatically updates the digital calendar in turn. It’s a creative mixture of tangible and digital information storage. As far as unique calendars and totally awesome LEGO projects go, this one is aces. To be honest, though, it’s kind of inscrutable to us. For the people who work with it every day, however, it’s an effective and charming way to keep track of their own schedules while letting everyone else know where they are during work hours. 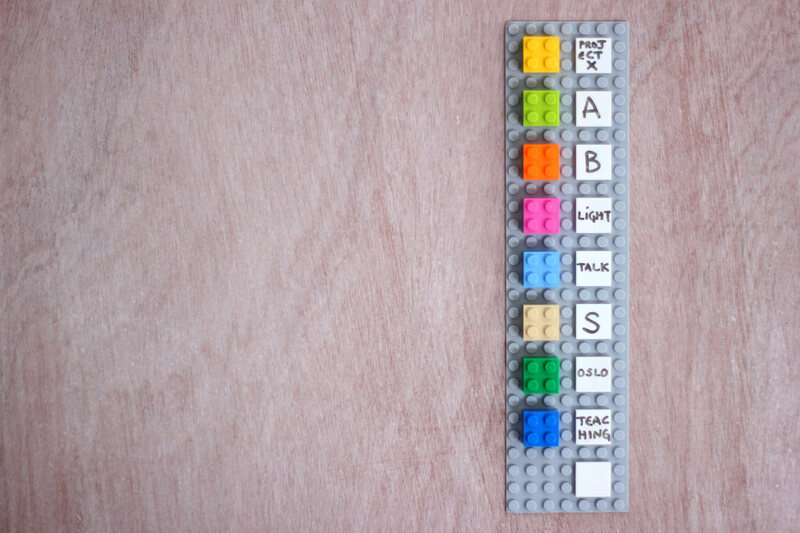 Creative DIY LEGO designs are all over the place, but few are quite this unique, interpreting the iconic plastic toy bricks in a whole new way. And hey — even if you can’t quite read it, the calendar can be interpreted as a fun bit of graphic decor.